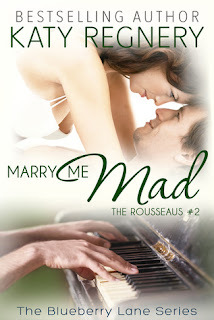 I have been seriously loving Regnery's Blueberry Lane series which includes the Rousseaus. Jax and Gard. These two were a trip and...trying to be friends. This gave me such a laugh. “How’s that?” he asked, confused, wondering why the hell she’d gotten so mad so fast. “You’re not good at this!” she said in a huff, standing up. “At what?” he asked, following her lead and standing up across from her, his hands on his hips. “Ooooo!” she snarled, her emeralds wide and angry. “Maddening!" Jonquils for Jax left me smiling. These two were just so much fun! The Gist: A chance encounter in the gardens surrounding her brothers wedding changes...everything for two lonely people hiding out from life. Okay so Jax and Gard were amazing. These two. Yall. I just loved everything about them and their romance. They just have those personalities that you want to be around even if Gard was a spot grumpy now and again. They surprised each other, challenged each other, were good for each other. They're both dealing with having to make some life altering choices and I loved that they were there for each other. He brought her security and she brought color back to his life. It wasn't always pretty and made me ache for both of them as he dealt with a work injury that cost him his sight and she dealt with sudden celebrity, harassment and an attack. The only complaints...editing could use another go through. And this was the second time a heroine (in this series) has opted to get a hero's attention by slapping him. I just really don't care for that. Wouldn't be at all cool if the hero did it so really not okay that the heroine does. All in all, though, I really did love Jonquils for Jax. Their romance was touching and watching them both take control of their lives again was inspiring. 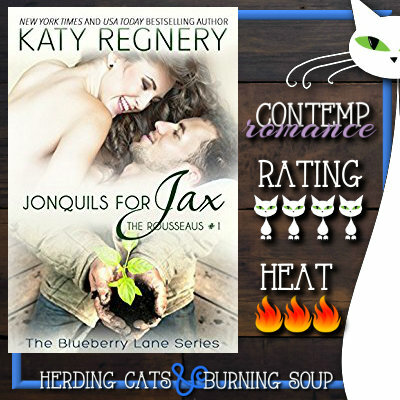 It's impossible not to fall for Jax and Gard or to cheer on their happily ever after. 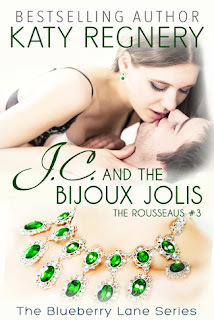 Jacqueline “Jax” Rousseau is vivacious, rich, smart and beautiful…but that doesn’t mean she’s lucky in love: she’s dated doctors, lawyers, actors and politicians who’ve all managed to end up disappointing her. In fact, she’s on a self-imposed hiatus from love when she has an unpleasant run-in with her neighbor’s gorgeous new landscaper, Gardener Lenox. Jax is not accustomed to gruff, ill-mannered men that can’t be charmed, but when he saves her skin, she realizes that something about Gard intrigues her...and if she can find her way through the armor that surrounds his heart, she might finally find a love that won’t let her down.